For just 10p a day, you can directly help one of our special Sponsor Dogs. Freddie is just one of many dogs in our care who need ongoing treatment for various physical and mental injuries. For a suggested donation of just £3 per month, you could help us to make sure these special dogs have all the care and treatment they need and deserve! You can set up your sponsorship online via our webshop here. Alternatively call our office team on 03000 125 125 or email us at fundraising@foreverhoundstrust.org and we will be happy to help. All of our sponsors receive a certificate featuring their chosen dog, an annual update on his or her progress, and a little something special at Christmas! 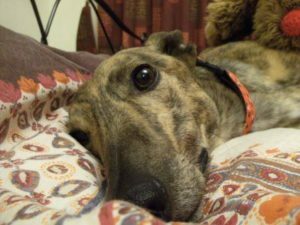 Coming soon – other sponsor opportunities to help the hounds – please register your interest in finding out more here.